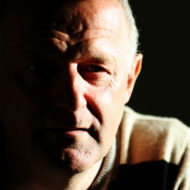 On Monday afternoon (25 March 2019) I decided to go down to Denso Marston Nature Reserve with my camera hoping to see something so I could use my new Sigma Macro lens that I bought at the Photography Show at the NEC the week before. 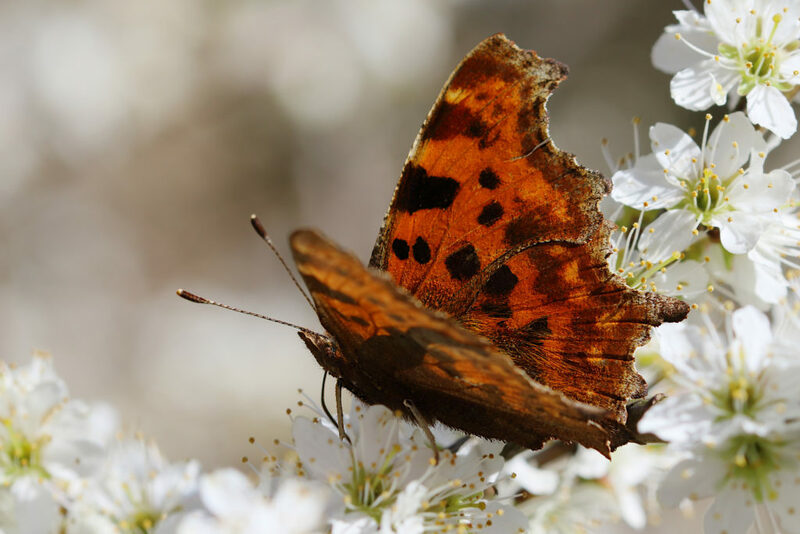 I was a little surprised to see a reasonable number of butterflies around. I’m sure I saw a Brimstone flying high up on the other side of the river. 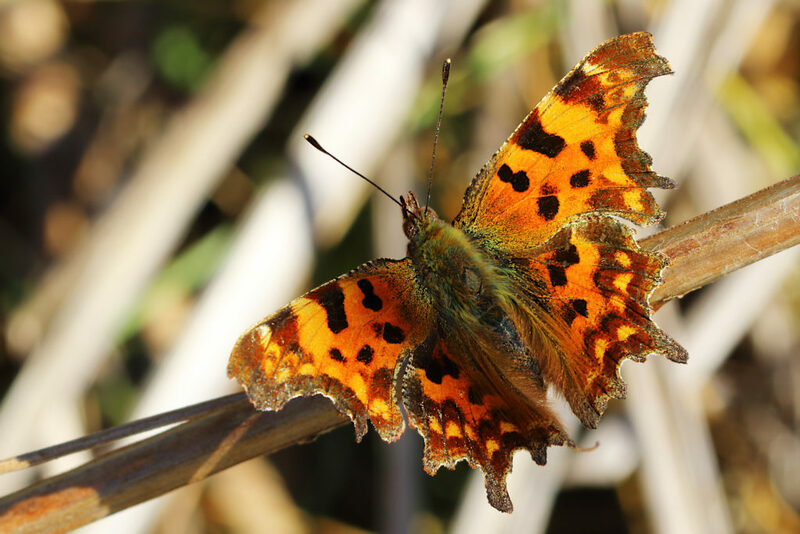 This Comma settled nicely, catching the Sun on its wings and let me get what I think is a decent shot of it with my new lens. 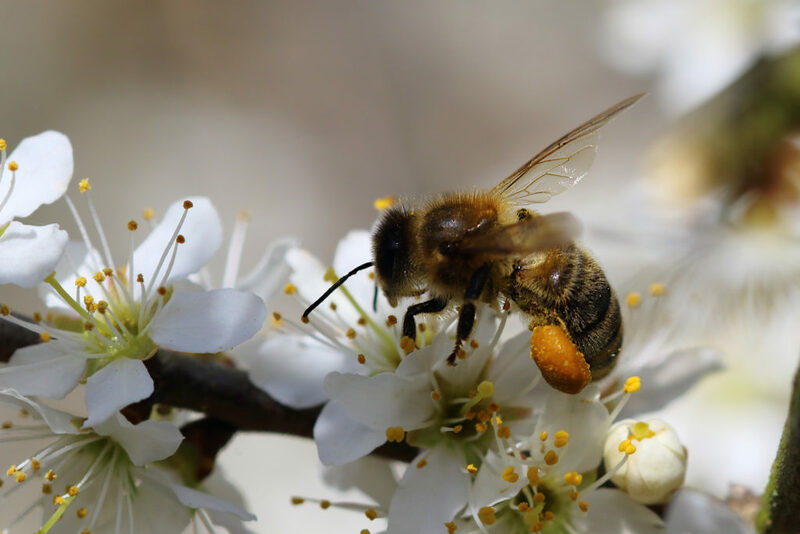 .. and for many Bees. This one has a massive collection of pollen on its legs. 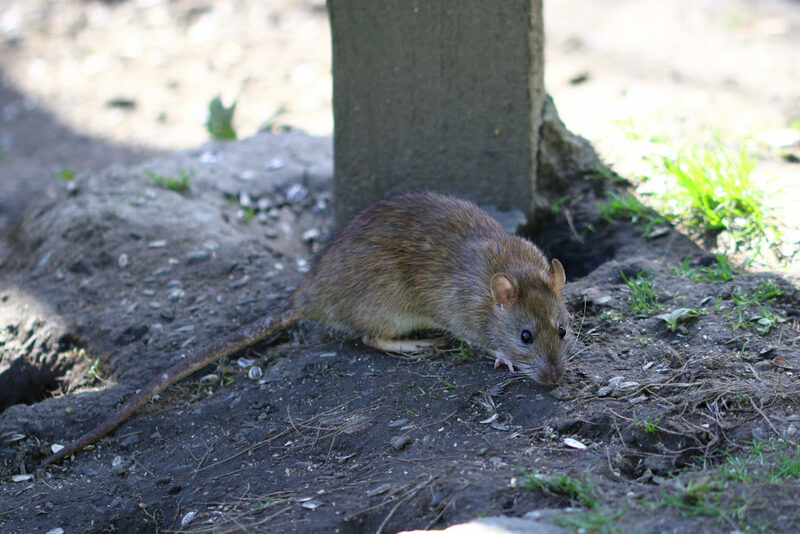 The lens focuses to infinity so performs as a “normal” 105mm lens so I was able to get this shot of one of the rats that run about the reserve. Some kind of Macro or close focus is needed to get close enough for a Bee and even with 105mm you have to get quite close. 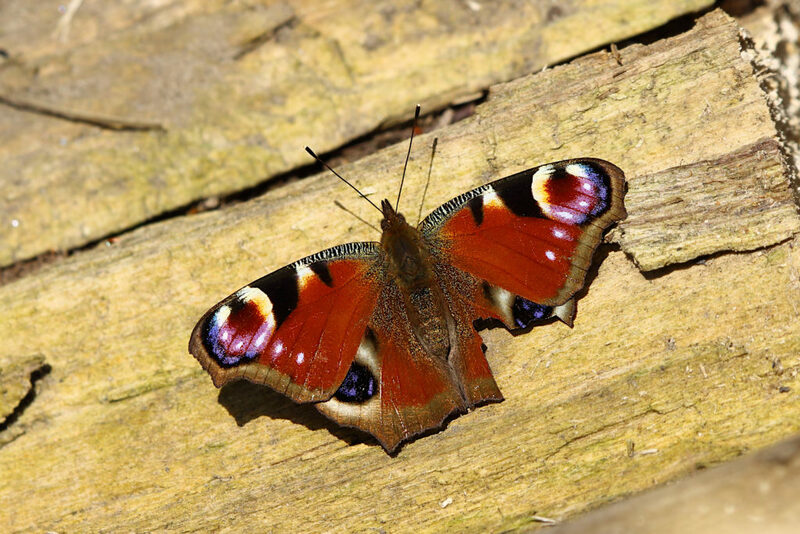 With my long lens (Sigma 150-600mm) you can’t get very close but butterflies (like this Peacock) are big enough to give a decent photo. With my long lens still on I walked along the river and at one point I kept hearing a Kingfisher and seeing a flash of blue as it flew along the river, and then a flash of orange as it turned and flew up the river bank looking as though it was heading for the canal. I got as close as I could to the river and hid/sheltered against a tree. 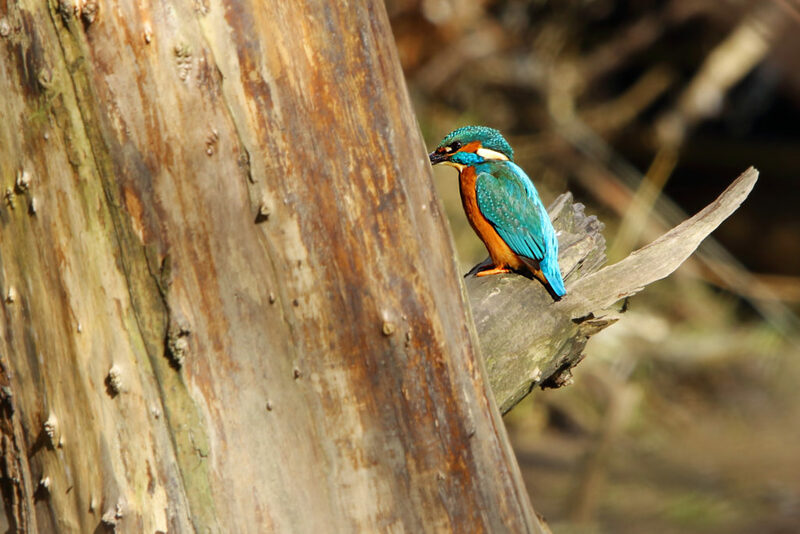 On one of the circuits the Kingfisher perched for a second or two a few yards down river from me. 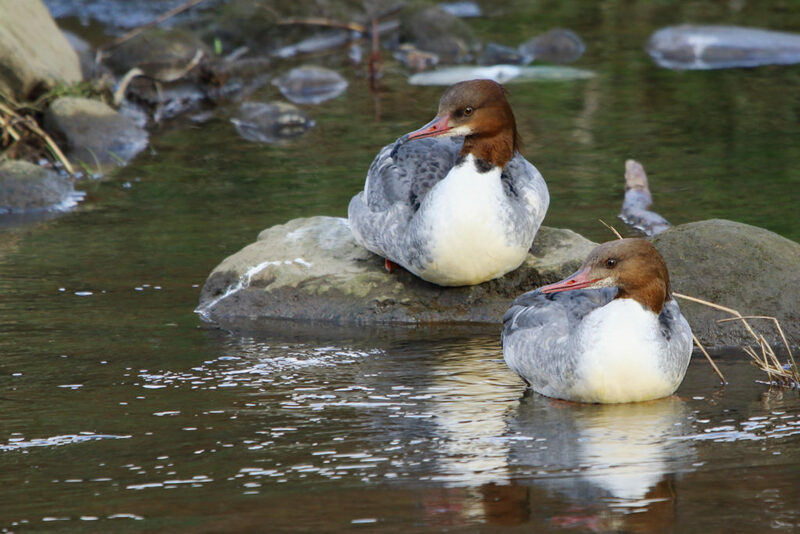 I couldn’t move to get more of the beak in shot because just a few inches to my right was a six foot drop into the river. 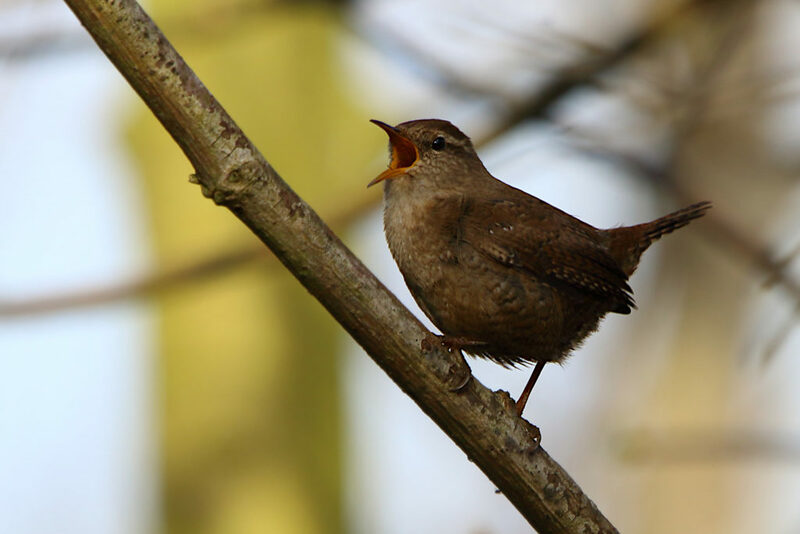 Wrens, for their size, are a very noisy bird. Here’s one opening its beak wide to let its song out. Surely they can’t produce such volume without getting exhausted or having to feed for a couple of hours to get their energy back. 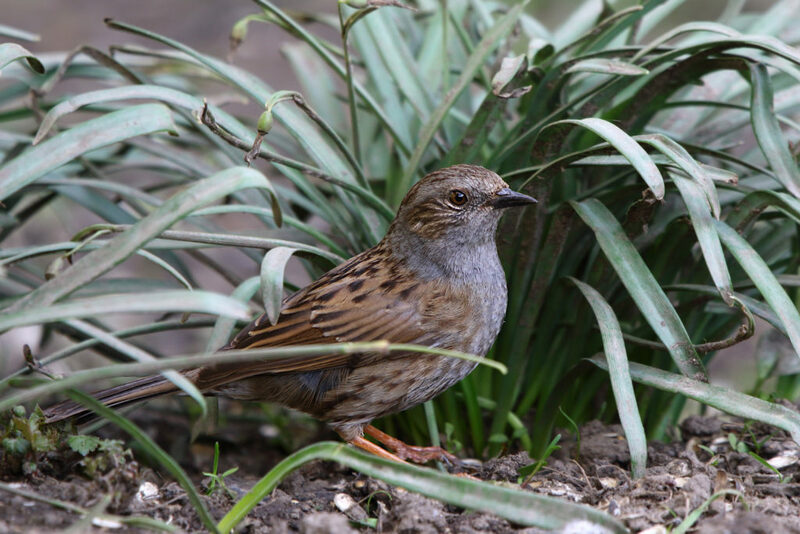 The Reserve is occupied by a large number of Dunnock. This one is near one of the feeding stations. … and this is what seems to have caught their attention. 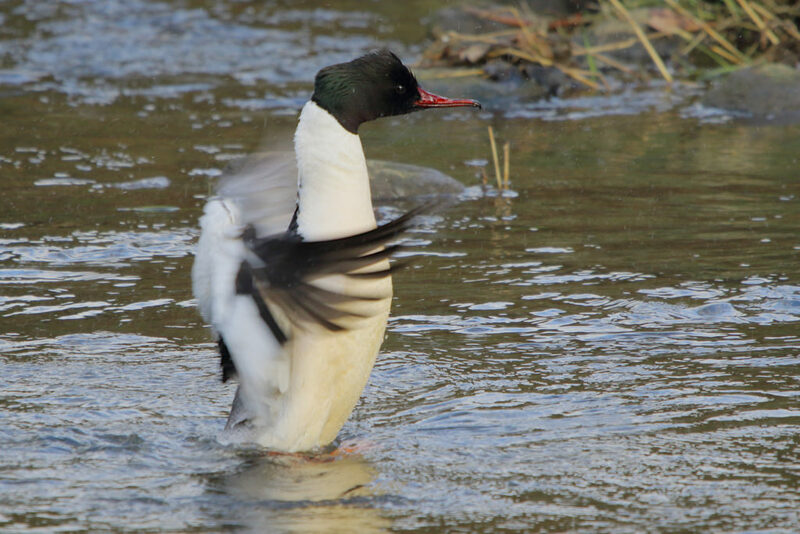 A male Goosander, ducking, diving and making a display of itself. 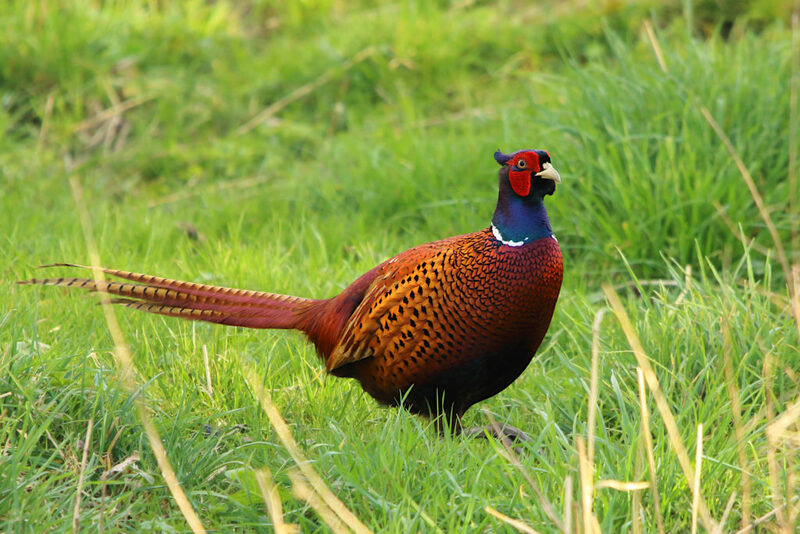 Over the course of the afternoon I had heard Pheasant several times. Sometimes I could see a brown dot in the fields but this one came down towards the river. It’s got some quite good colour to it.